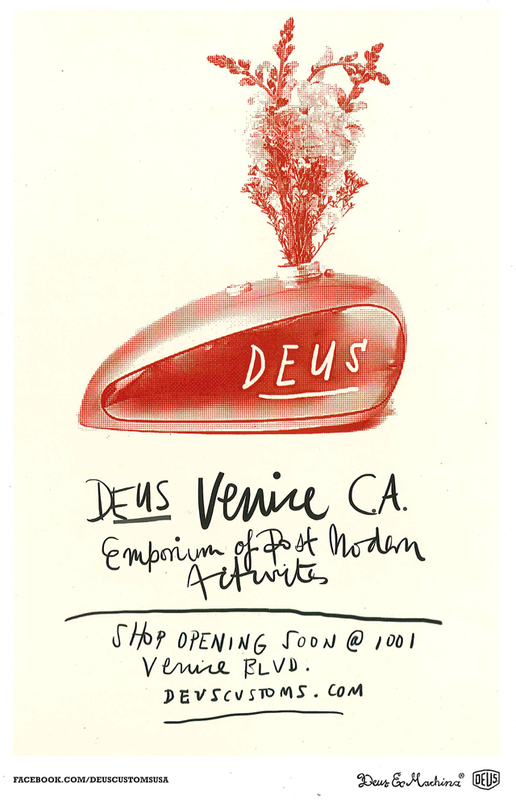 I had always heard about Deus Ex Machina from friends who went on surf trips to Bali, so when my friend Lauren brought me the postcard above and told me one was opening in Venice I was so excited. A few weeks ago we were able to go check it out - it's such a rad shop and I wanted to buy all the colorful surfboards and all the art on the walls! They weren't selling the art, but I did score this rad t-shirt illustrated by Stevie Gee, whose work I'm a huge fan of. 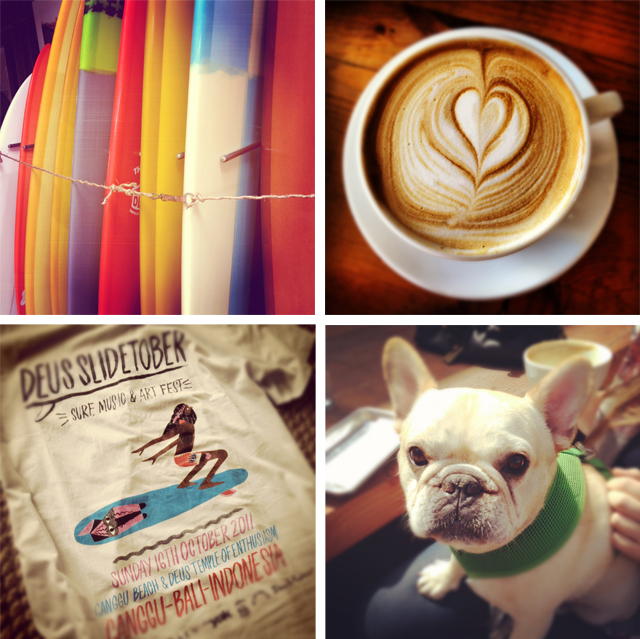 I had a delicious latte and almond croissant, AND I got to hang out with my most favorite bulldog EVER. If you are in Venice go check IT OUT!